At the World Museum in Tulsa, Oklahoma, the three shrunken heads from the Jivaro tribes in Peru and Ecuador—with their shriveled, leathery skin, and sometimes threads strewn from their mouths—were the showstoppers. 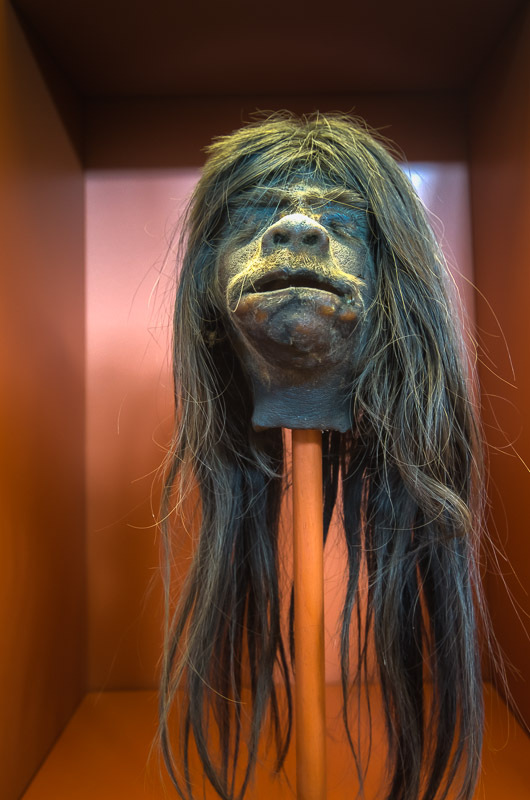 While the museum held life-size sculptures of headhunters, Thai orchestra instruments, several paintings by Gustave Doré, giant elephant tusks, and artifacts from ancient Chinese dynasties, it was the shrunken-head display that drew crowds. Adults and schoolchildren would stop and gawk. But the World Museum, which liquidated its assets in 1981, wasn’t just another one of Tulsa’s quirky roadside attractions; this collection of art and artifacts was said to rival the holdings of some of the Smithsonian Institute museums. 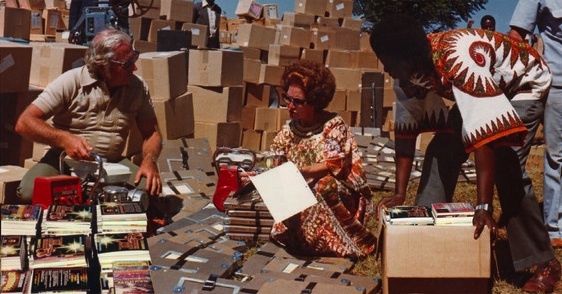 Unlike those collections, every item it contained was gathered by one “missionary evangelist” couple, Tommy Lee “T.L.” Osborn and his wife, Daisy, who traveled from country to country from the 1940s to the 1990s, performing healings and establishing churches. The closing of the World Museum symbolized the end of an idea borne out of Victorian curiosity: Missionaries as anthropologists. Since 19th-century missionaries were already making difficult journeys abroad and connecting with indigenous peoples, they made obvious candidates to help Western institutions document the cultures of the world. Indeed, missionaries have contributed important artifacts to natural history museums all over the United States. For 200 years, typical North American “resident missionaries” have tended to stay in one country for the duration of their career, which gives them a unique opportunity to immerse themselves in one particular foreign culture. In Victorian times, the artifacts they collected during such stays were often donated to educational institutions like natural history museums and universities. But a globe-spanning missionary collection is rare: Only one such U.S. collection, which dates back more than 100 years, still lives in storage at the American Museum of Natural History in New York City. And it’s unlikely the U.S. will ever see a large-scale, high-profile global collection celebrating its evangelical roots, like the one at The World Museum, again. Today, such an exhibition would be controversial, as the repercussions of colonialism, cultural appropriation, and economic globalization are being hotly debated. Even international charity, a large piece of Christian missions—from building schools and digging irrigation systems to providing medical and legal aid—has been called into question as a heavy-handed and unnecessary intervention into the lives of native peoples. 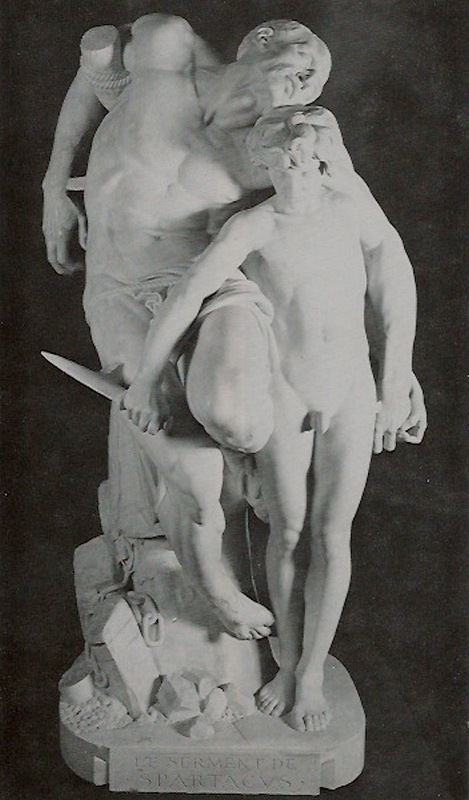 According to Barbara Lawson, curator of world cultures at the Redpath Museum at McGill University in Montreal, white European commercial interests hit faraway shores first between the 15th and 19th centuries depending on the regions involved. “In the period of first contacts, these visitors were trading things, whaling, collecting furs, or looking for sandalwood or other types of rare materials,” she says. The first Protestant missionaries from North America left for Burma (now Myanmar) in 1812. Missionaries of the Victorian era, like H.A. and Christina Robertson, whom Lawson wrote about in her book, “Collected Curios: Missionary Tales From the South Seas,” often came from impoverished, rustic existences themselves. Usually, only a handful of people—a man, his wife, and maybe their children—would travel to a mission field, where they would be incredibly dependent on the locals for food, water, and shelter. While the missionaries would naturally have to adapt to many local ways, Lawson says, ultimately, their evangelizing led to colonialism. Erin Hasinoff, a fellow in the Division of Anthropology at American Museum of Natural History (AMNH), agrees that in the Victorian era Westerners assumed that non-Western cultures were inferior and their people were in need of reform to become productive Christian workers. To their credit, Victorians—the first real Western middle-class born out of the Industrial Revolution—were intensely curious about the world. 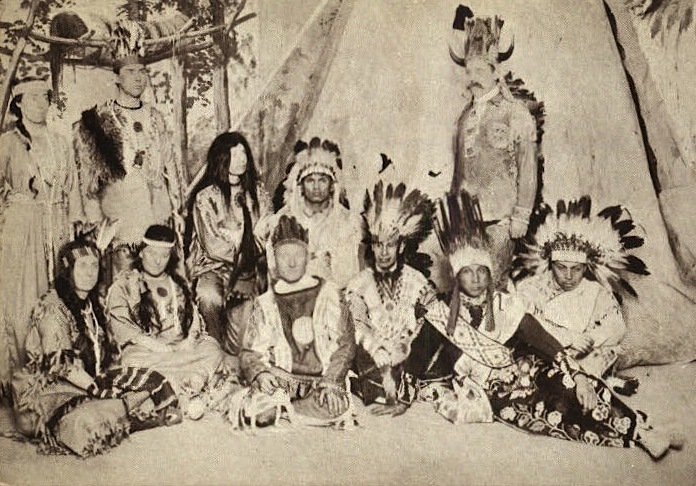 In America, East Coast tourists took trains to Southwest America to experience Native American culture, dauntless young men joined the Navy, and wealthier adventurers boarded ships to Africa for hunting expeditions and safaris. Scientists like Carl Akeley, the “father of taxidermy,” and Charles Darwin, who developed the theory of evolution, traveled the globe to document plant and animals species. Newly founded natural history museums and zoos were wildly popular. Victorian tourists brought home physical objects and plant specimens as souvenirs of their trips, because for most of the 19th century photography was a slow, cumbersome process involving heavy equipment. It wasn’t uncommon to have a “cabinet of curiosities” in one’s home. Jivaro shrunken heads were such popular souvenirs, Peruvians and Ecuadorians started making fakes to sell as curios. In fact, these creepy objects are still a hit at the Redpath Museum, which has three in its collections, possibly made from monkeys. “Even now, the public is mad about them; I call it ‘shrunken-head fever,’ because they just can’t get enough of them,” says Lawson. “In the 19th century, they were a popular item because they represented something so exotic and mind-boggling and such a conversation piece that everybody wanted to have one. So local populations in Ecuador and Peru met the demand, and many of these were made for sale. 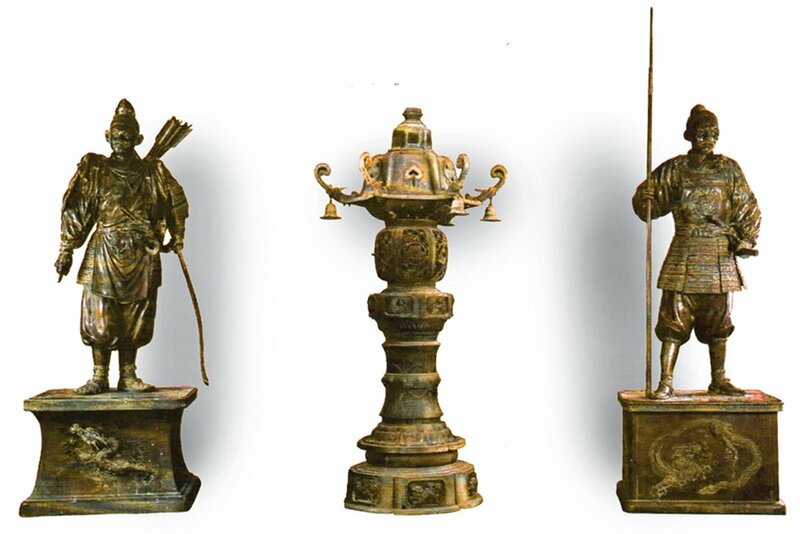 Originally, they were taken as trophies in battle and for spiritual reasons, to gain spiritual power over the enemy. But when it came to making these for sale, they might have been taken from a person who may have just died from illness or old age. Locals also became adept at making monkey skulls look like human ones. 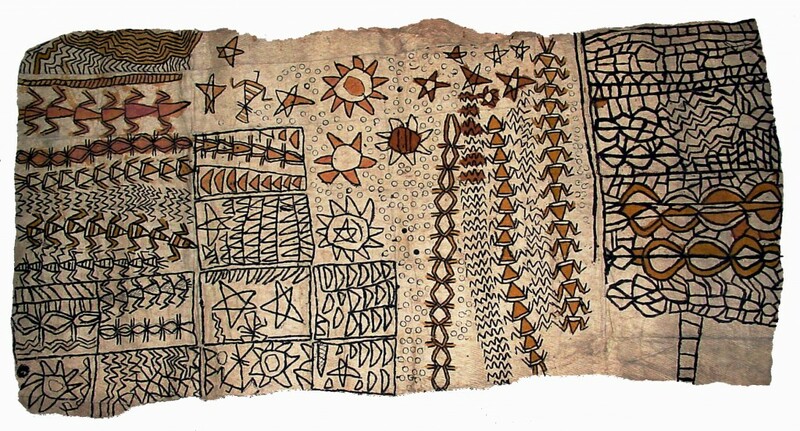 Like the tourists, missionaries brought back items that seemed to capture the essence of the region they worked in. When they went on furlough, spending a year in America after five to 10 years in the mission field, the missionaries would tour churches to speak about the work. They also brought magic lantern slides and objects to convince congregations that these people were desperately in need of redemption. Of course, these curios, shown at churches and interdenominational meetings, sparked intrigue among the faithful. When they retired, the missionaries would bring home the items they’d accrued from living in another country for decades. The Canadian missionaries Lawson studied, H.A. 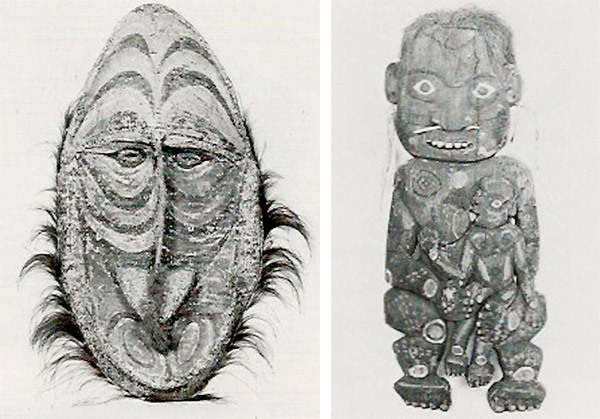 Robertson and his wife, Christina, arrived in the Melanesian archipelago Vanuatu (then called New Hebrides) around 1870. 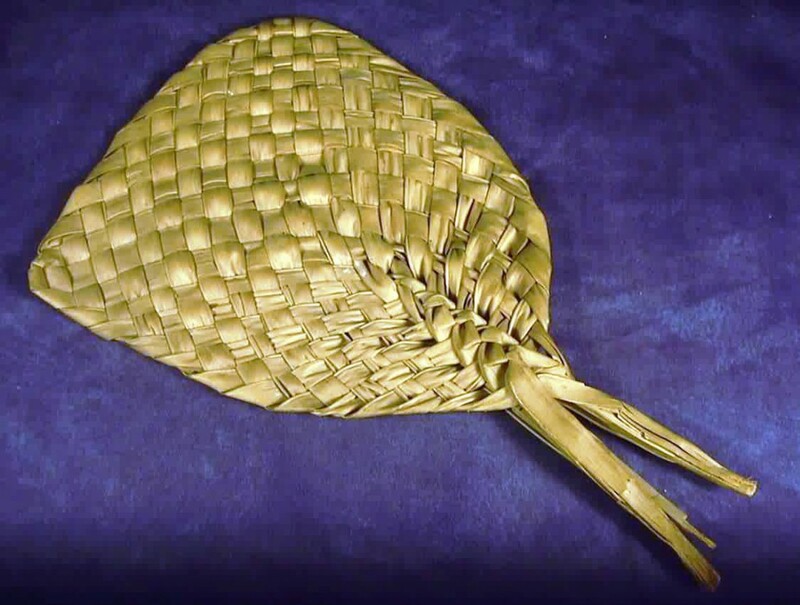 Their collection, which was donated to the Redpath Museum starting in 1883, contains hand fans made of woven palm leaves, tapa-cloth floor mats, bowls made from coconut shells, and accessories made of clamshell. In the 1900s, missionaries hosted tea parties to showcase these items, and such events were becoming trendy. But they weren’t nearly as popular or impressive as the large international expositions, also known as World’s Fairs, which started in London in 1852 and were held regularly throughout Europe and America. 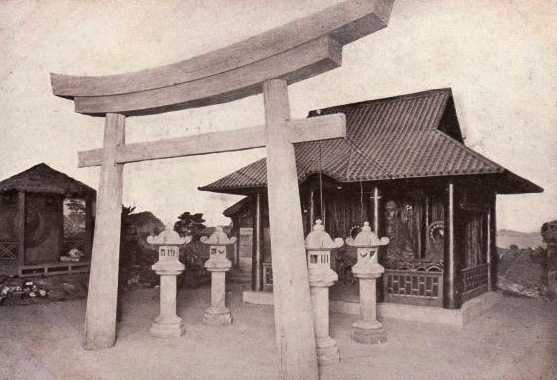 Around 1899, Christian leaders started to consider how a World’s Fair-type event, with interactive booths meant to re-create life in another country, could promote missionary work. The organizers of the 1900 Ecumenical Conference on Foreign Missions in New York City figured that a large exhibition of global curios would bring in money and support for their work. To create this exhibition, “basically, every known American missionary society received a circular in 1899 with a request for objects, whether they were in Hawaii or Burma or Africa,” says AMNH’s Erin Hasinoff, the author of “Faith in Objects: American Missionary Expositions in the Early Twentieth Century.” “The conference received a whole range of things representing everyday life, such as articles of clothing, objects of personal ornamentation, and wares that one would use in the home. The 1900 conference, a major event at Carnegie Hall, drew politicians like former President Benjamin Harrison, President William McKinley, and New York Governor Theodore Roosevelt, as well as tycoons like John Pierpoint Morgan and John D. Rockefeller. As speakers detailed the successes and obstacles of foreign missions, a side attraction across the street was the Missionary Exhibit, which took up three stories of the parish house at the Church of Zion and St. Timothy. The displays in this exposition featured photographs, models, maps, and charts, as well as objects or “missionary curios” from the respective countries. There, a visitor might see edict boards from Japan, lotus shoes for bound feet from China, a book of pressed flowers from Bulgaria, or fetish figurines from Congo. Some exhibitors put on costumes and played characters from various cultures, sometimes even performing a native skill, such as making lace. 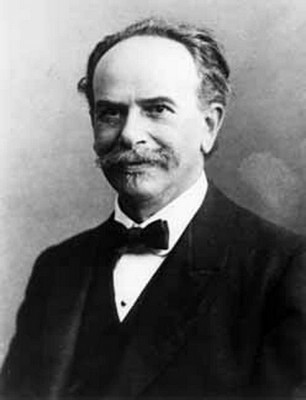 The American Museum of Natural History’s assistant curator, Franz Boas, who’s been called “the father of American anthropology,” took an interest in this Missionary Exhibit. A secular Jew and an outspoken cultural relativist, Boas didn’t see the display as a way to promote Christian missions. He saw it as an opportunity to expand the museum’s anthropological collections. After the conference, the collection, which contained artifacts from nearly every Protestant mission field—including North America, Latin America, Oceania, Korea, Laos, Siam, Malaysia, India, Turkey, Persia, Syria, Egypt, and Madagascar—was packed up and delivered to the museum. 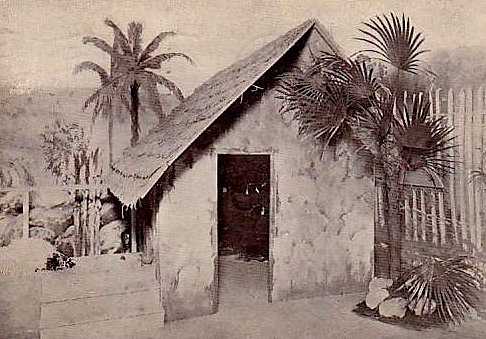 Encouraging missionaries to think like scientists, Boas asked them to gather objects like botanists, biologists, or archaeologists would, using a more methodical approach to fill in all the gaps in the Missionary Exhibit. But for all Boas’ efforts, the collection never developed to match his ambition for it, and he left the museum in 1905. 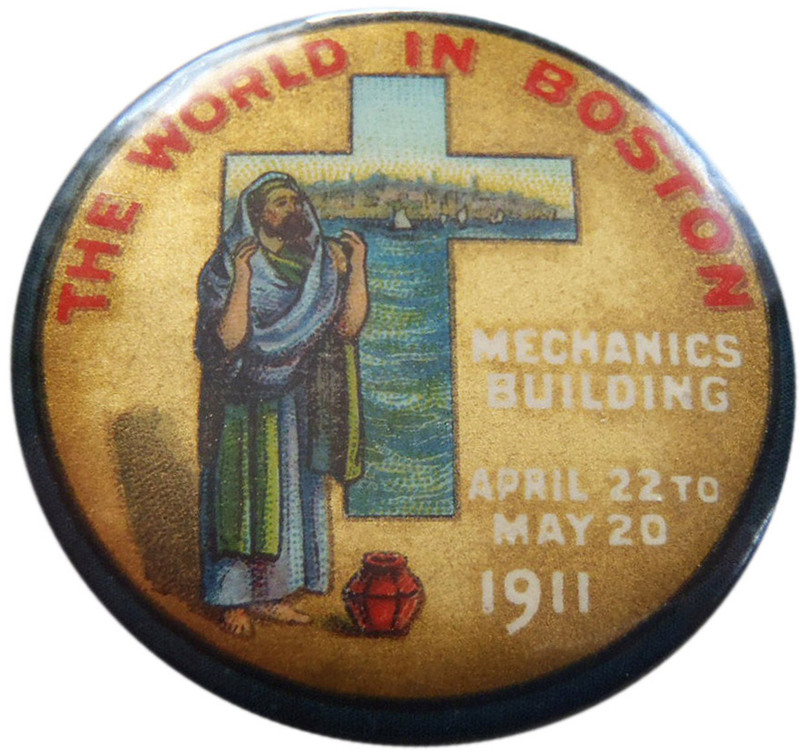 A souvenir pinback advertises “The World in Boston,” held at Boston’s Mechanics Building from April 22 to May 20, 1911. Eventually, the American missionaries convinced a group of wealthy New York backers to incorporate as the Missionary Exposition Company, and this new firm helped them secure the necessary costumes, props, and scenery. 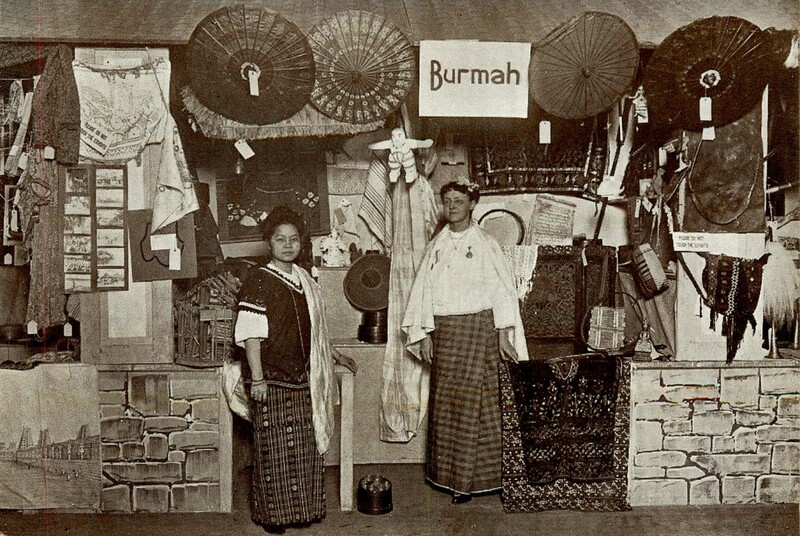 AMNH anthropology curator Clark Wissler even lent objects from the museum’s other collections to their fair, “The World in Boston,” which took place from April 22 to May 20, 1911. At the block-sized Mechanics Building exhibition hall in Boston, the 400,000 visitors could ride a rickshaw and enjoy a Japanese ceremonial cup of tea, experience the colorful regalia and joyful singing of a wedding in India, and take in a lecture on how the evil known as opium was affecting China. They toured structures like replica temples, pagodas, African huts, and Bedouin tents, as volunteers filled the roles of artisans, street hustlers, fortune-tellers, and Buddhist monks. The “domestic” scenes depicted Native Americans, what were billed as “our foreigners at home,” and black American slaves in chains. “The World” was so popular in Boston, that, naturally, the organizers, now renamed the Missionary Education Movement, took it on the road. “The World” traveled to Providence, Rhode Island; Baltimore, Maryland; Cleveland, Ohio; and Chicago; and also inspired many imitators around the country. But the outbreak of World War I put a halt to the fun. One of the outcomes of the war was to make Americans and Europeans more aware of the global frustration with Western paternalism, which prompted Catholic and Protestant organizations to rethink their approach to missions. Thus, missionary exhibitions faded into the past, as Protestants shifted their focus toward the concept of “world fellowship” and set about recruiting and training indigenous people to evangelize to their own. The authentic Missionary Exhibit artifacts were returned to storage at the American Museum of Natural History, while the Missionary Exposition Company held on to its American-made props and costumes, for fear the items would see secular use. “Over time, you see a shift toward world friendship and trying to understand and respect local cultural practices,” Hasinoff says. “In the 1910s, terms like ‘idol’ definitely came up. By the ’50s and ’60s, you wouldn’t find ‘idols’ or ‘fetishes’ being circulated in Sunday school classrooms. By then, the idea was to incorporate the local communities into a larger Christian partnership that recognized certain indigenous ways. So missionaries might bring back handwork or beadwork to show the native skills instead. The postcard for this “World in Boston” display only describes it as “Native House, Africa Scene,” with no indication as to the country. It would be decades before the United States would see anything quite on the scale of the World, and it was this mid-century idea of seeding churches around the globe that brought another worldwide missionary collection into being. In 1938, Tommy Lee “T.L.” Osborn, a poor farmer’s son, left his hometown of Pocasset, Oklahoma, at age 15 to evangelize with traveling preacher E.M. Dillard. While they were in California, Osborn met a farmer’s daughter, Daisy Washburn, whom he married in 1942. The young couple, 18 and 17 respectively, struck out on an American mission of their own, returning to rural Oklahoma before traveling up the West Coast. 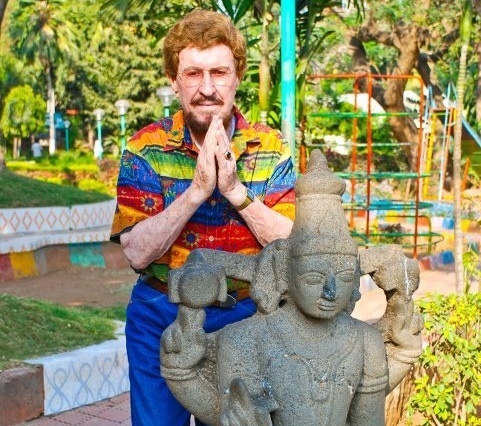 After establishing a church near Portland, Oregon, the Osborns were told that India was full of pagans who were desperately in need of Christian salvation; the pair sold everything they owned and headed to India in 1945. 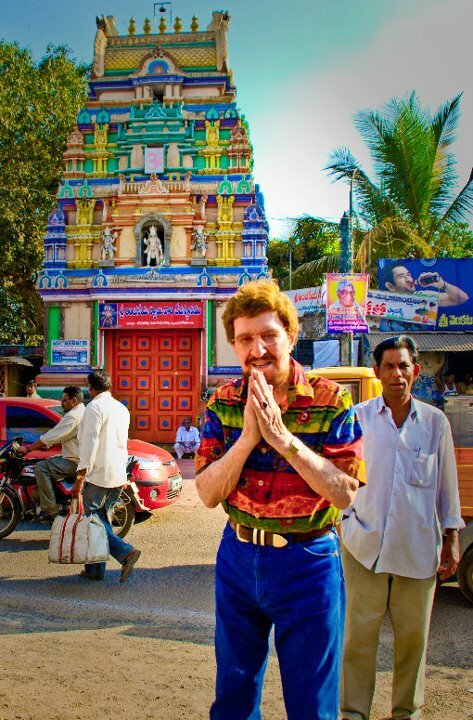 The couple gave up on Christianizing India within a year and made their way back to Oregon. In 1949, they joined a 13-week mission to Jamaica, with their two young children, LaDonna and her big brother Tommy Lee junior, in tow. There, the family claims to have performed healings on hundreds of people with conditions such as blindness, deafness, cancer, and deformities. Then, the grateful locals presented them with gifts, treasured art, and artifacts. So it went, as the Osborns built their international ministry: They’d travel to a mission field for a few short months to help establish indigenous-led Christian churches. While there, they’d hire translators, perform miracles at huge events that drew hundreds of thousands of people, and be showered with gifts. The couple evangelized to 40 countries between 1950 and 1964. T.L., who passed away earlier this year, saw the gifts as collateral, a way to finance Osborn Ministries International—which they moved to Tulsa, Oklahoma, in the early ’60s—when times got tough. But, according to This Land Press, the ministry was well-funded through donations, which its foundation solicited through its magazine, Faith Digest, thought to bring in as much as $6 to $8 million a year. 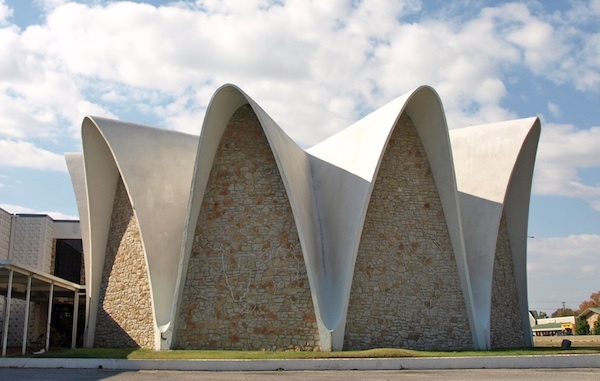 In 1963, the 42-year-old missionary opened the a gallery of artifacts in the rotunda of his new temple near I-44 in Tulsa, in a futuristic Mid-Century Modern building that looked a bit like a clamshell. 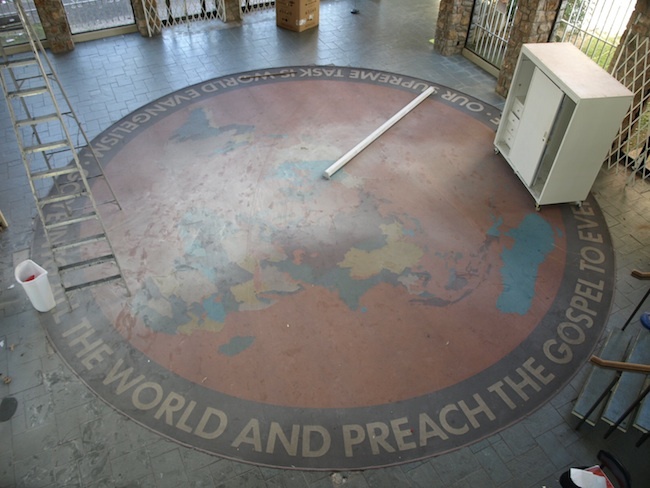 A large, circular vinyl carpet in the center read, “Go ye into all the world and preach the Gospel to every creature. 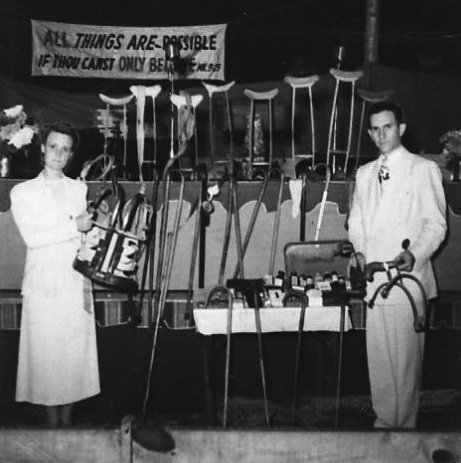 Our supreme task is world evangelism.” There, the Osborns showcased the items they’d collected or restored over more than a decade of missionizing. Within 10 years, the collection had gotten large enough—5,000 artifacts from 100 countries—that the Osborns added a second floor. Oklahoma governor David Hall gave a speech at the 1972 grand reopening of the 50,000-square-foot attraction, which had a new name: the World Museum Art Center. The museum also contained the three shrunken heads, an elephant’s foot, cow skulls, talismans, swords, gongs, pagan deities, monster statues carved from trees, mechanical villages from the Black Forest, music boxes, and naturally, the Rolls Royce. 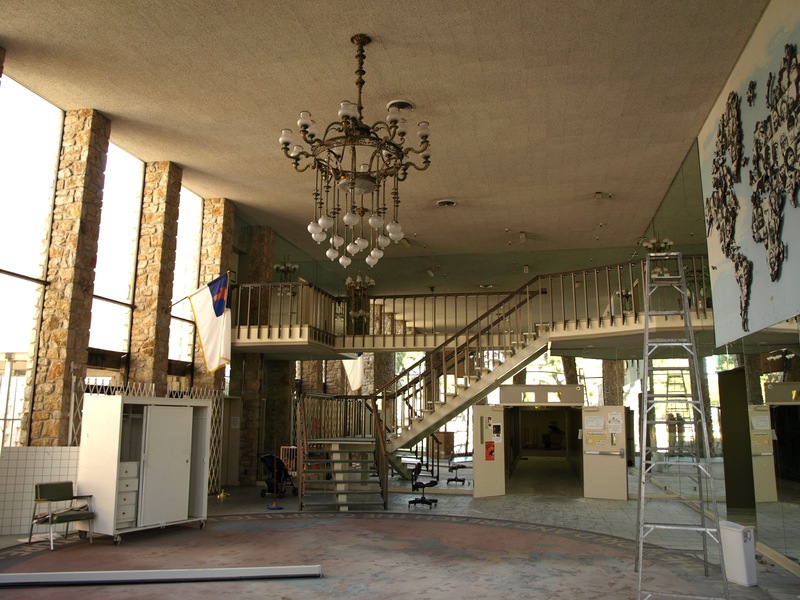 In the 1970s, more than 6,000 visitors a month toured the facility, while T.L. turned down increasing requests for interviews. “We put captions right on each object: where we got this, what tribe it was from, and maybe what they called this god and how they would worship that god,” LaDonna says. “We didn’t do a preaching thing about how bad they were or how rough they were. One thing that was really consistent throughout the museum in our captions was drawing attention to the creativity of human beings. By the late 1970s, the museum had swollen into a full-fledged institution, with a curator, guards, and tour guide, which the public associated less and less with the ministry that created it. When the Oklahoma Tourism Board came calling, they reminded the Osborns that they had a priceless collection housed at their museum, which the family would be responsible for caring for as long as they lived. The Osborns also learned that their facility, which was not temperature- or moisture-controlled, would not protect the objects long-term. “My folks and I were taken to lunch by someone high in the tourism board,” LaDonna says. “This woman was complimenting the museum, saying it was just the finest collection of art west of the Mississippi. She said, ‘You have given half of your lives, collecting these items. Now you must spend the rest of your life protecting them.’ And I knew in my heart that was the end of the museum. That’s when the family brought in Christie’s auction house to help liquidate their collection, which was put on auction and sale in September 1981. 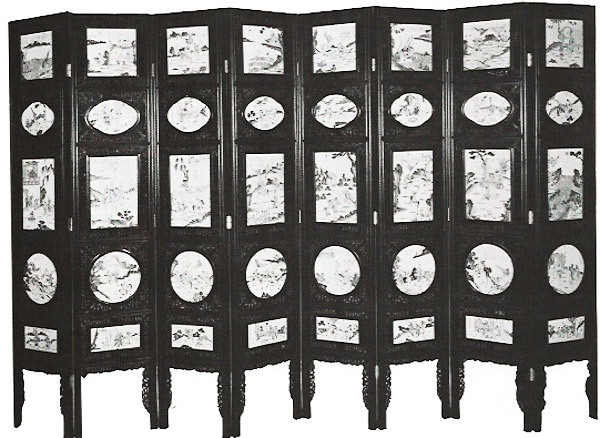 The family held on to some Dorés, a few pieces of Asian art, and a handful of sculptures for their home. On auction, a Doré painting, bronze and marble sculptures, and Louis XIV clock each went for five figures, according to This Land Press. “We had our major auction here in Tulsa, but the Old Masters paintings were sent to New York where they could be exposed to the high-dollar art world,” LaDonna says. In 1994, the Osborns donated the building to the Victory Christian Center, who used it for the Victory Bible Institute, while still sharing some of the space with Osborn Ministries International. T.L.’s wife, Daisy, passed away in 1995, and four years ago, the Space Age complex was demolished to make way for a freeway expansion. Today, Osborn Ministries continues under LaDonna’s direction, from another location in Tulsa. I can’t recall how many times I drove by this museum in Tulsa on the way to a shopping mall! It is probably the only museum in Tulsa I haven’t been in and now it is too late. Great story Lisa. I visited the museum as a class trip in HS. Very cool place. Thanks for the story, Lisa! 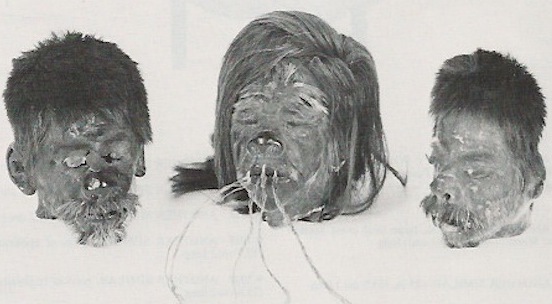 I remember as a kid going through the museum and being fascinated with those shrunken heads. My uncle TL and Daisey lived above the museum. It wasn’t a big place but it was beautiful. My grandmother Verna was TLs sister she wrote a small book before her death about growing up in her family. The Osborn family produced many preachers and word of God teachers. Proud to be a part of this family. I am trying to find information about an artist that was with missioaries in Africa, sculpting religous figurines of female saints in 1949 made of ivory. As far as I can make out, his name was Mamceaus the second. 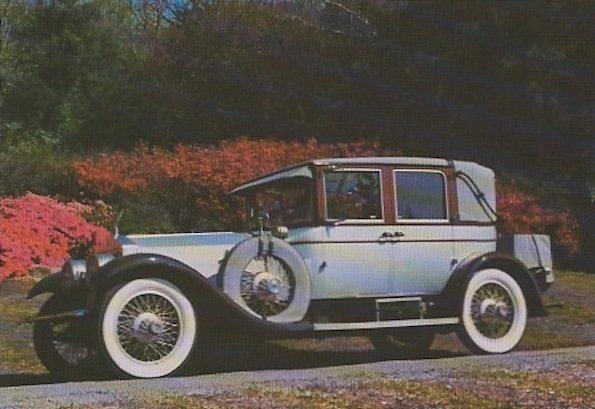 My husband and I recently purchased a 1930 Lincoln which we learned belonged to the TL Osborn family. If you could tell me more about that car, we would love to hear from you. Thank you in advance.